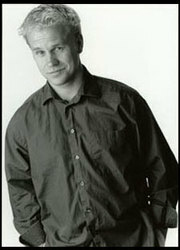 Michael Coleman was discovered working the comedy circuit in British Columbia. Since then, he has gone on to numerous starring roles in TV and film, including A Midsummer's Nightmare, Y2K, and Slasher Flick. Coleman also has appeared in several anime projects such a Dragon Ball Z, Galaxy Angels, Dragon Drive, and X-Men. Coleman is currently working on a new TV series The Triple 8, which is set to air in the fall of 2004.